Like fashion, makeup trends have also changed over time. Remember those paintings where women don’t have eyebrows? Compare that to thick, dark eyebrows you sometimes see on women today. Let’s take a closer look at eyebrow trends and the different types of eyebrow liners. Eyebrows used to indicate social status. In Europe, shaved eyebrows symbolized purity. The geisha in Japan used to paint their eyebrows with crushed safflower. 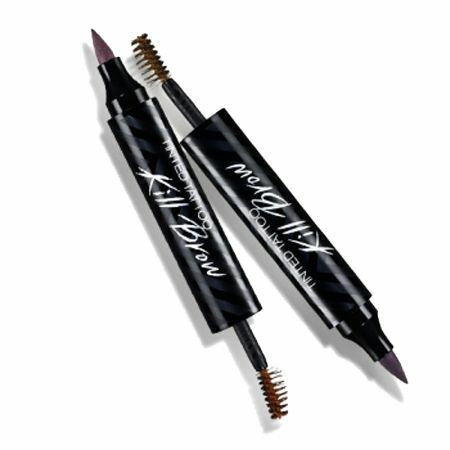 In India, kohl was applied to eyebrows and around the eyes to enhance looks. In the US in the early 1900s, a newspaper wrote about make-up, including the eyebrow darkener made from Indian ink, gum Arabic and rosewater. Eyebrow tattooing was also introduced at this time. Then Max Factor started selling make-up for film actors. But besides the film industry, ordinary people started purchasing make-up including eyebrow pencils. In the 1920s, the manufacture of eyebrow pencils saw an improvement when the ingredient hydrogenated cottonseed oil was used. By looking at sculptures and paintings from ancient civilizations, you can tell that the women used to have arched brows enhanced by powdered minerals. The men and women in ancient Egypt had heavily-lined eyes and eyebrows. Ancient Greeks shaved their eyebrows when a pet died. For women in ancient Rome, it was ideal to leave the eyebrows unaltered as a symbol of purity. The unibrow was even considered beautiful. In the Middle Ages, women shaved their eyebrows because domed foreheads were in fashion. While in the Victorian era, women with makeup were considered prostitutes. The movies helped popularize contoured eyebrows. In the 1920s, thin eyebrows were in fashion. In the 1940s, high-arched eyebrows were prized. In the 1960s, arched eyebrows were still preferred but they opted for lines that were stronger and more defined. The 1980s favored thick, natural eyebrows for a fresh, youthful look. In the 90s, thin, arched eyebrows were popular among movie actresses. In recent years, the thick well-defined eyebrows are favored by most entertainers. So why should you mess with your eyebrows? Eyebrows give your face character. If you’re going to wear makeup, a lot of detail should be placed on your eyebrows and eyes to reflect your mood and overall theme. But in the end, the style of the eyebrows is a personal choice. Some beauticians however would argue that some shapes will enhance your look, so experiment until you find what works for you. 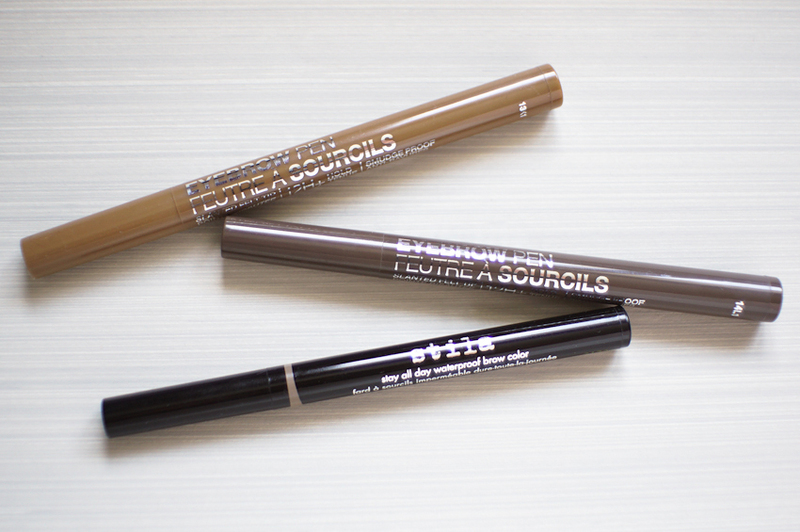 But first, let’s look at the types of eyebrow liners. Eyebrow make-up come in different colors. The most basic are black and brown. There are also four types of eyebrow make-up to choose from. These are pencil, powder, pen and gel. Pencils are good for contouring, but they need to blend well. You also have to sharpen them. When using powder, use an eyeliner brush to fill in your eyebrows. Eyebrow pens work like pencils but they usually last longer. 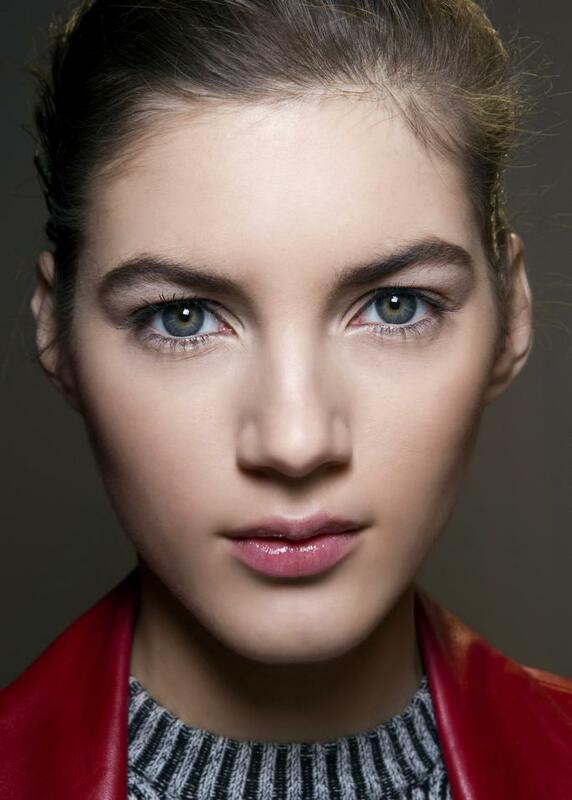 Gels, also called eyebrow mascaras, are trickier to use if you’re a beginner. They make your eyebrows look thicker.